The Conversation: We have more parks than ever, so why is wildlife still vanishing? By Bob Pressey, James Cook University and Euan Ritchie, Deakin University. While we can never know for sure, an extraordinary number of animals and plants are threatened with extinction — up to a third of all mammals and over a tenth of all birds. And the problem is getting worse. At the same time, we have more land and sea than ever in protected areas (“parks”) — more than 200,000 protected areas covering about 15% of the world’s land area and 3% of the oceans. Just about anywhere people have looked, the majority of protected areas are residual — leftover areas of the world pushed to the margins where they least interfere with extractive activities such as agriculture, mining, or forestry. On land, protected areas are mainly remote or high, cold, arid, steep, and infertile. Similar patterns are emerging in the sea. Residual protected areas, by definition, make least difference to conservation. Meanwhile, biodiversity continues to be lost in landscapes and seascapes suitable for clearing, logging, grazing, fishing, and extraction of minerals, oil, and gas. Residual protection also gives the false appearance of progress because many people equate the number of protected areas and their extent with success. These figures are only “good news” if they tell us about the difference these parks make to conservation. They don’t. The most rigorous estimates of the difference that protected areas make are small. By 2008, only 7% of Costa Rica’s much-lauded protected-area system would have been deforested in the absence of protection. Globally, in 2005, the loss of native vegetation prevented by protected areas was 3% of their extent. These numbers get to the very purpose of protected areas. They are small because protected areas are mainly residual. Protected areas that make little or no difference should be a major concern for IUCN, especially because targets for protection endorsed by the Convention on Biological Diversity at best obscure and at worst encourage the failure of protected areas to make a difference. The Convention’s targets are meant to guide decisions on protected areas to 2020. The only unambiguously quantitative target (number 11) says nothing about making a difference. It aspires to 17% of land and 10% of the sea under formal protection. The result has been a rush to proclaim large, remote protected areas where they are easiest to establish and make least difference. The story is familiar in conservation and beyond: provide a simplistic metric that implies success, and it will be manipulated to achieve high scores. But there are problems here too. Before we halve the rate of loss, we need to know what the “baseline” rate of loss is — and over what period it should it be measured. Should it be measured in the past, when loss might have been slower, or now? Habitat loss also varies across the world — does that mean that reduction in loss rates of some areas can offset faster losses elsewhere? Several kinds of tropical forests, for example, housing most of the world’s terrestrial species, are being lost rapidly. For these, even a halving of the rate of loss will mean mass extinction. IUCN’s mission is hindered by recalcitrant governments. 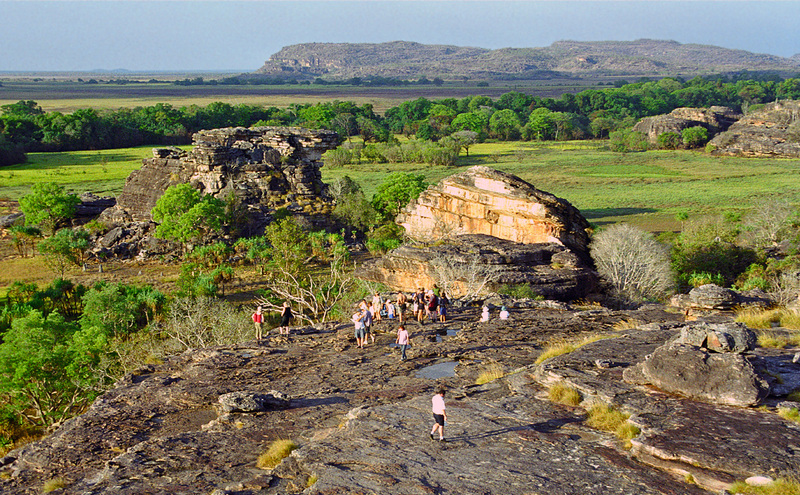 Australia, as host of the World Parks Congress, will show off its conservation wares. The display window is less impressive than when Australia genuinely led global conservation thinking from the 1970s to 1990s. Our protected areas on land, such as those in the host state, are strongly residual (claims of an improving trend are based on inadequate data). Australia’s marine parks, which are directed more at satisfying total protected area than protecting threatened marine biodiversity, show other countries how not to protect the sea. And the only quantitative targets in Australia’s Strategy for the National Reserve System — for protected extent and coverage of regional ecosystems — leave plenty of scope for more parks that make little or no difference. Not content with marginalising protection, Australian governments are weakening what’s there. Parks on land are being opened up for livestock grazing, industrial logging, mining, “conservation hunting”, and commercial development. No-take zones in marine parks are being opened up for fishing. The Great Barrier Reef Marine Park is in jeopardy and the plan to fix it is destined to fail. Stop using targets that give the illusion of conservation progress. These include the number and extent of protected areas and percentages of countries, states, or regions covered. At best they will inadvertently obscure the real signal. At worst they will be used perversely to dress up residual protection. Measure success as the difference protected areas make relative to no protection. This is “impact evaluation” in fields such as medicine, education, and development aid, where difference means saving and improving human lives. If saving species is also important, evaluating the impact of protected areas is essential. Establish an IUCN Task Force to develop ways for evaluating the impact of protected areas, considering both biodiversity and human livelihoods. Assess the impact of current protected areas to provide lessons for management and future planning. And test approaches to setting priorities as the predictions they are. Develop targets for the impact of protected areas: how much threat should be averted and how much loss should be avoided? Ultimately, the success of conservation depends on what natural resources are left unexploited by humans so that other species can survive. Protection that does not avoid the loss of species and ecosystems merely gives the appearance of conservation progress under exploitative business-as-usual. Real conservation – the kind that makes a difference – depends on IUCN’s leadership. Every year of delay means irreversible, avoidable loss of biodiversity. This article was co-authored by Dr Piero Visconti, Board Member of the European Section of the Society for Conservation Biology in Washington, D.C. This entry was posted in Media and tagged extinction, national parks on 17 November 2014 by Euan Ritchie.